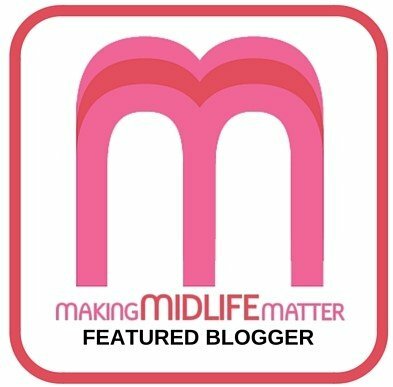 I’m an Australian midlife, travel, adventure and lifestyle blogger. Welcome to my ‘About Me’ page. I am a bit quirky, full of energy, enthusiastic, into social media, sharing things and looking for the positives. I am Debbie – a wife; mother; daughter; sister; friend; blogger; reader; runner; walker; cyclist; Rail Trail enthusiast; traveller; Rotarian; Whovian; former teacher. And I’m a retiree!! A very young retiree at 56 – it wasn’t my choice believe me! I’ve been called a humming bird on speed and WonderWomanDebz. The Mathematician and I have three beautiful daughters who are all grown up now and making their own way in the big wide world. I like to write about my family sometimes. I am very proud of my posts where I have compared our lives at age 28, 30 & 25. 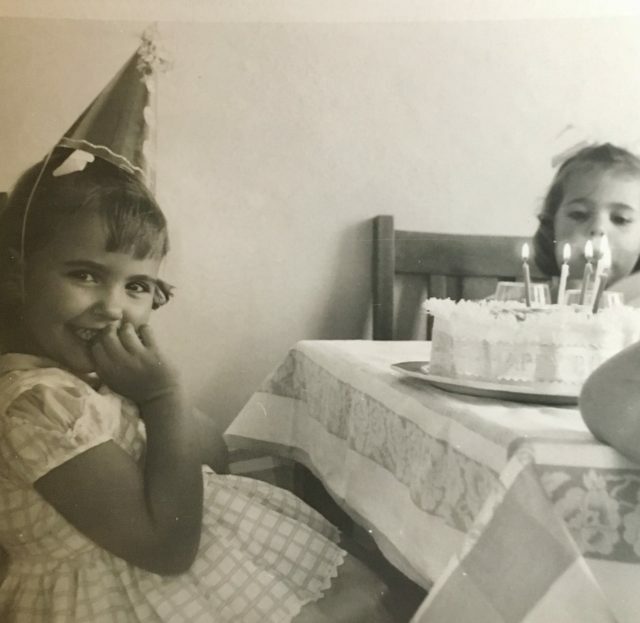 I also compared the life of my mother and me at the age of 53. I have enjoyed being the MOB (Mother of the Bride) twice now and our latest wedding was in Fiji! It was amazing fun! I am a grandmother now as well, to a gorgeous baby girl, Emilia Jane born in September 2018. Up until December 2016 I managed the delivery of Educational programs in a minimum security correctional centre for males. I have blogged about a lot of things over the years – but I never really mentioned my work in the gaol. That all changed when the government decided to outsource Education services in gaols (jails) to an external (cheaper) provider. This meant my job was made redundant, along with hundreds of others across the state. These professional educators were replaced by clerks, on a lower salary rate with no education qualifications required, and they do basically the same job that I had been doing for over 20 years. I did not take well to these changes and experienced an array of emotions, as you can imagine. I have written a few posts about the situation and if you want to see what I’m talking about click any of these links – Education beats crime every day, On being made redundant, Jailhouse Blues and Mantra for the future. On the plus side my husband, the Mathematician, retired from a teaching career spanning 39 years in January 2017, so we now have lots of time to do things together, while we are still young enough! I’m pleased to say our first year of retired life went exceptionally well! I am into keeping healthy and have learnt how to run again. I regularly walk, run or cycle and I feel fantastic as a result of my efforts. I sometimes blog about my running journey and cycling holidays. Travelling is in my family’s blood and I love to blog about our travels. Now that we’re retired we have lots more time to indulge in this passion. I have a page dedicated to our adventures and travels. As at May 2018 we embarked on the trip of a lifetime, what I’m calling our Odyssey, travelling for 3 months to UK, Iceland and Europe. I’m recording our travels in weekly posts – you can find them here if you’re interested! Our Odyssey posts all in one place. Iceland was a real favourite – so much so I wrote a post (tongue in cheek) 10 reasons why you definitely shouldn’t visit Iceland. I’m also an avid reader and try to document all the books I read during the year (it serves to remind me of what I’ve read!) on my reading page. I’m in a book club and enjoy reading books I may not have normally looked at. I enjoy Instagram, Twitter, Facebook and Pinterest and you can see my links to all these on my Contact page . In 2017/2018 I also participated in a 52 week photography project. It was a fun, creative project and made me think outside the square at times, as well as improving my skills. I have a compulsion to step on crunchy leaves and bark just to hear the satisfying crackle/crunch. I’ll go out of my way to step on a suitable looking candidate. I’ve recently added jumping in puddles to this compulsion. I wrote a post about it called Big Debbie’s Purple Boots based on a children’s book. 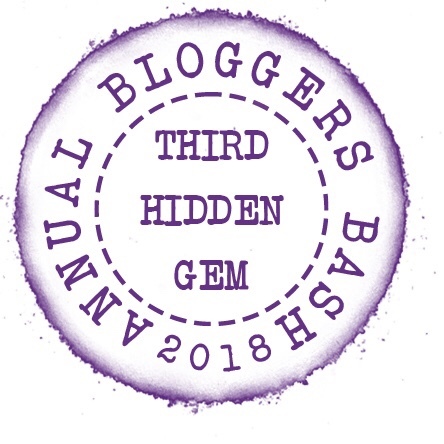 In May 2018 I was place Runner Up in the Hidden Gem category at the Annual Bloggers Bash Awards in London! I was thrilled to be there to meet other like minded bloggers and make new friends. You can read all about it here – Annual Bloggers Bash Awards. So, after reading all that, if you’d still like to follow my blog – then please feel free to come along for the ride! You can also find Deb’s World on other social media platforms below – let’s stay in touch! Thanks for your comment. Enjoyed reading your page too. Thanks so much Eliza…I am thrilled to accept this award and will get around to replying properly very soon. You’ve made my day!! Thanks so much! I haven’t been too sure about these awards but have decided to just go with it. I will try to follow the instructions! Thanks so much!! I am very pleased with your nomination and will try to get my replies done soon! Much appreciated. I’m sure you’ve already been nominated for the Sunshine Award but, just in case you haven’t, I’ve nominated you for it because your blog makes me smile. Thanks so much!! I am in the process of getting around to replying but want to say that you made my day!! I also wanted you to know that YOU are my 100th fellow labmate in my ‘experiments’. Thank you so much once again! I think you’ve inspired me for an idea…it’s started ticking in my brain right now…will keep you posted in case it works out…. Cheers! Hi Preeti, I feel very special now!! Hope your ‘inspiration’ works out for you. Keep blogging and I look forward to following your experiments. Thanks for the follow; much appreciated. With a name like that, it had to be Oz 🙂 But not the wizard. I just finished reading your three blog entries comparing yourself to your three daughters at their ages, respectively. Wow! I loved reading them and I can see why they are three in which you are most proud (the blog entries, not the daughters, although I am sure you are most proud of them as well!). I especially like the fact that you were honest and straightforward about who you were. 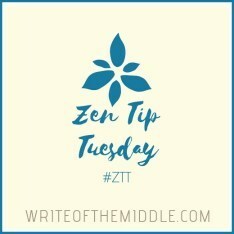 Oftentimes, we read either a grossly exaggerated, hubris-filled description of oneself, or a blog entry full of self-deprecating humor; yours is a breath of fresh air. I have to admit, Ima gonna steal your idea 😉 I have two daughters of my own, ages 21 and 22, and I can’t believe that I never thought to sit down with them and talk about who I was when I was their age, I mean, really talk. Thank you for allowing your readers a peek into your life. ~v. Glad to be able to stumble upon your blog and I absolutely love it. Travelling makes us joyful, adventorous and teaches us to remain happy. I read through some of your stories and they are beautiful. I loved Cheddar too, we want camping for 3 days in the same village last summer. Oh my my what a beautiful tiny little village. Thanks for stopping by and for following! I’m so glad you stumbled upon my blog 🙂 Always like hearing that people like Cheddar, it certainly is a lovely little village. Haha! I had no idea that’s how I was seen by others, it’s always interesting to find these things out isn’t it? Look forward to following your blog. Well HI THERE! From way over here in Michigan. Thanks for following my blog. If I can figure out how to do it I’ll follow yours! 🙂 🙂 I am SO not technical. I have a running friend that we call the Energizer Betty (from the old battery adds that featured the Energizer BUnny that just kept going and going and going…) …I think you might be a younger version of her! She ran a marathon on her 70th birthday. AMAZING. I used to run..then I broke my foot. Then I ate too much. Now I think about running. Some of the time. Sigh. ANYWAY, nice to meet you! Nice to meet you too. Haha, not sure I could run a marathon now let alone when I’m 70! You managed to follow my blog so you are going well. I look forward to following your blog with interest! LOL…me either. I have trouble jogging to the end of the driveway now days. 1) On 5 consecutive days create a post using either a past or recent photo in B&W. 2) Each day invite another blogging friend to join in the fun. Thanks Jill. I’ll get onto it! Hello, Deb, nice to meet you! We live in Northern Illinois. Thanks, for following my blog. I haven’t many posts there yet and need to be more active there. My hubby and I are both retired and have been traveling often to Puerto Rico where we hope to start spending long term. We used to go to Jamaica quite often. I would absolutely love to travel to Australia, such a beautiful country! My husband’s mother and husband were stationed there for 10yrs. with McDonald Douglas but that was probably 30+ years ago. Sorry, I didn’t mean to write a book on your site, lol! Take care! Great to meet you. Thanks for stopping by and saying hello. Look forward to staying in touch. Thanks for passing by my blog and leading me to yours 🙂 Happy to follow your inspiring adventures.. Thank you for the follow and kind words. Looking forward to reading your posts too. Great comment – thanks! At the moment with winter being upon us, a bit of colour is very welcome. Hey Debbie. I found your blog from the blog party and reading through some of post makes me smile. No wonder you have so many comments. You got an exceptional way to put feelings into words. Keep the work up and enjoy the party! Thank you so much, you’ve made me smile by leaving me such a lovely comment. Absolutely a great WOW! You inspire. Just looking at your site now!! Looks great. Thank you. And I am on your site! Snap! Thanks for the follow and I’ve followed you back. Looking forward to seeing your posts now. You have such an excellent and interesting website reflecting a very interesting lifestyle and philosophy about it. Thank you. I really appreciate your comment as it’s hard to know how others see your site. I also like your posts and your goals. Thanks for your comment and stopping by my blog. Yes it can be a rewarding environment and also quite challenging. Do you have similar experience? Hi, Debbie, and thanks for following my blog! Always nice to meet another Debbie, isn’t it?! Now I’m off to browse through some of your posts. Looks like you have some interesting things going on here! Thanks Debbie – I agree that it’s always nice to meet another Debbie. We are lovely people – and I’m not biased at all! Hello, Deb! Just clicking around the blogosphere and commenting on blogs that I think are fun and interesting, and you’re one of them. October is my birthday month, so consider this an invitation to my month-long birthday party. Hope to see you over at That’s So Jacob sometime! Ciao for now! Hi Deb, so glad I have stumbled across your lovely blog. 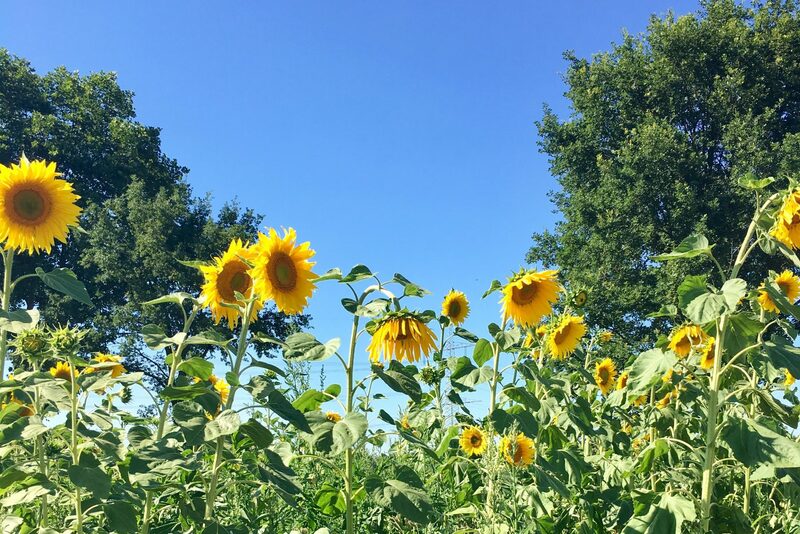 I am totally loving all your posts and beautiful photos. And I feel like I resonate with you. Look forward to following your continuing journey. So fastest hummingbird in the east, I’m very grateful for the follow. Thank you. Hi Deb. Thanks for visiting and following Flying Goannas. I hope you enjoy our travels. When I read your profile I thought for a moment you were a friend of mine named Deb who works in a correctional facility. I’m looking forward to reading more of your posts. Hi to you too, thanks for the follow. I hope you enjoy my ramblings. I’m so glad to have come across your blog. I admire your About Me page Deb. I like the way you describe yourself, it makes me see a glimpse of your personality. Keep it up! You’re most welcome. 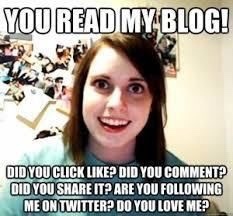 I just followed your blog. You may also want to check out mine. Any comment, suggestions, and constructive criticism would be highly appreciated. Thanks for the follow, I’ve just to visit your blog and followed you too. Oh, that’s awesome! I really appreciate it. Nice to meet you. Your website looks great and I will be back to read more later. Thanks. Thanks Kerri, you are welcome to visit any time. Hope you enjoy the comment boot camp. Nice to meet you. I came across your blog through commenting bootcamp. Looking forward to reading your posts. Btw, nice about page. Hello! Many thanks for your comment and for visiting my blog!! The boot camp should be a good source of information and networking. Looking forward to visiting your blog too. Well, anyone who likes travel, loves the colour orange, and has won a bravery award from the Queen sounds wonderful! I am doing the WordPress Bootcamp comment thingy and need to find new blogs to comment on. You are helping me out here, thank you. I just found you on the Commons page. Your blog looks very interesting and I look forward to reading more about you. Thanks Mark, nice to have you along. The boot camp has been a good way of meeting others and checking out different blogs – and it’s only day 1! I’m still working through your lovely blog. Is this a custom site? I would love to have my blog archives listed like you, with a photo, in grid form. You have been blogging a while, well, much longer than me, and you seem to know lots and lots! Hi Georgie, my site is a premium theme called ‘Traveler’ and I’m glad you like it. It suits me and what I blog about. I like the grid layout too. I’ve just left a comment on your post thanking you for mentioning my blog. I have been blogging for a while but working full time and being involved in lots of other things, means I have to be organised with it all. I don’t know about me knowing lots and lots though 🙂 I have done a few of the other blogging u courses and gained a lot of information from them and met some amazing bloggers. Now I’m following you too!! Hi Deb! First of all, I want to thank you for visiting and following me. As a new blogger, I’m still amazed whenever I get a new follower. I suppose confidence will come with time. This about page is fantastic…I love it. It clearly explains who you are and your vibrant personality definitely comes through. We are alike in some ways, but not in others. I’m an introvert and don’t like leaving the house much. Whereas, you sound like an adventurer who lives in a cool country. But, opposites can often help one another by filling in those voids each one lacks. Not that you lack anything! Thanks so much for your lovely words Melissa! It is hard when we get started to realise that others may be interested in our blogs and ramblings, I’m still surprised like you are when people follow my blog. I’m sure we can be of help to each other and I look forward to following your progress too. Thanks again. I too get completely absorbed in a good book to the point where hungry husbands and household chores cease to exist. I will also deliberately step on crunchy leaves – although living in a desert with not many shedding trees can put a damper on that particular hobby. Will definitely be back to read more. Hi Diya, thanks so much for leaving me such a lovey comment and for the follow. It’s nice to find your blog and I’ll be back. I’m not surprised that the desert doesn’t have many crunchy leaves!! Simply loved your blog, it’s so lively and full of energy. Thanks so much!! I’m delighted that you think so. I just love blogging and find it a great way to relax and get creative. All the best to you. The first thing I look at when scouting a new blogger is their ‘About’ page. Loved yours. Found you through the weekend blog party. Hi from North Carolina, USA. Welcome to my world all the way from the land down under. Nice to meet you. Thanks for the comment, I do something very similar. It lets me see something of the blogger and if I like what I see I press follow. I found a few new blogs from the blog party too. Enjoy the weekend. Was down under in November and December on a cruise out of Sydney. 13 days around New Zealand and 12 days around Fiji and New Caledonia. Created a bog entry for each day of the cruise. That’s awesome to hear you are also a Whovian (even better that you didn’t know you were one!) I checked out the link and it’s cool. Very clever! I thought I had written a post about my award and here it is. Very inspiring About Page! I can’t wait to read more! Thanks so much, I was just over at your page reading some of your posts too! Thanks Debby! We seem to have a few things in common along with our names. I must admit I’ve never been a high heel wearer though 😊 it’s great to connect! Hello! I see you like Thursday Doors and other wordpress challenges almost as much as me! When I saw your name was Deb Harris, I wondered if you were my sister in law, who has the same name as you, and who I’ve rather lost touch with since my brother died, but I can see that you are definitely not! But you sound a lovely person and I’m looking forward to reading more of your blog! Thanks for your great comment! I can assure you I’m a nice person 🙂 I do enjoy the WordPress challenges and Thursday Doors when i can get a good photo worth sharing. I hope to see you around the blogosphere in the future, I always enjoy your posts by the way. Thank you Debbie! That’s a very nice thing to say! It’s a genuine pleasure to meet you, Deb. Just caught up on your enforced retirement, sorry to hear that. It happened to me last year, but you know it was just the best thing really. I was sitting out a job I loved and was very good at for a company whose upper management had changed and cared not a jot that my role led to a smooth operation and no complaints. I was invisibly working, in fact so invisible that when the financial cuts came they could lose me…some satisfaction in knowing 6 months down the line, it’s chaos 🙂 But, I haven’t looked back and I’m loving it, trying not work, but if I have to so be it. Take care and enjoy, it’s a hugely rewarding time, like payback for all those years of graft! Hi Debbie. Wow, thank you for sharing. We are so happy to have found your site and are now able to tag along on your journey. Its going to be fun seeing the world through the eyes and words of “a hummingbird on speed”, lol. Hi Debbie! Thanks a lot for the follow! Thanks so much SheryL! Lovely to have you along. Hi Deb, just noticed on your instagram that you’re from Tumba- which is where my family is from (my maiden name is Lyons)…so dropping by to say hi. Isn’t it a great way to meet other bloggers? Lovely to meet you too. I’m so glad you are enjoying it and this group is the best thing to have happened to my years of blogging. I’ve followed you too so look forward to reading more. Somebody should give the government a good hard slap for all this outsourcing and dumbing down. If you figure out a way to deliver it, I volunteer to be the somebody. Thanks Ellen, I’d love to see that happen. Hi Deb! What an inspiration you are to me! I have only started my blog about two months ago and I am still new to all of this! I love how much personal information you are giving. What do they say? You’ve godda put it all out there right! I am sorry to have read about your work situation. If I can add two cents for my thoughts it is that I recently also discovered that sometimes God makes things not work out to give us time. Time to spend with Him, time to enjoy our family and time to truely live up to our calling! And boy are you inspiring! Best of luck with your time to come and I’ll be following your blog along with several others! Thanks for dropping by and leaving me a lovely comment!! Welcome along and good luck to you with your blog. I’ve been to visit and am now following along. In regards to personal info I just tell it like it is. I forget sometimes that it could end up anywhere but have had nothing but positive feedback so far. It’s a good way to document my thoughts. I’m happy with how things are going and am just trying to make the most of it all. Thanks again and stay in touch. How fun it is to learn more about you, Deb! What a fun post! and i loved the comments/questions. I’ve been following for a while but hadn’t read this page, nice to know you better Debbie. You are a fascinating woman, Deb! You have an award from the Queen? That’s probably the coolest thing I’ve heard in a very long time – reading the post now. It was a long time ago Tony but it still means a lot to me. WOW! A humming bird on speed!!! Thanks so much! I hope the post isn’t too much but I would rather that than too little information 🙂 At least readers know what I’m on about!! Enjoyed getting to know a bit more about you. Yes to jumping in puddles (I have ORANGE rubber boots) just saying girl. Congrats on becoming a grandmother along with all your other accomplishments and family. Looking forward to hearing where your next adventure will be!! Oh I want orange boots now!! Thanks for commenting on my page and congrats on my new grandma status. I hope it’s not too much info 😬. Great to have you visit me.